The African-Eurasian Waterbird Agreement (AEWA) calls for means to manage populations which cause conflicts with certain human economic activities. The Svalbard population of the Pink-footed Goose Anser brachyrhynchus has been selected as the first test case for such an international species management plan to be developed. The Pink-footed Goose is classified as having a “Favourable Conservation Status” within Europe and a species of “Least Concern” using IUCN’s global Red List criteria. 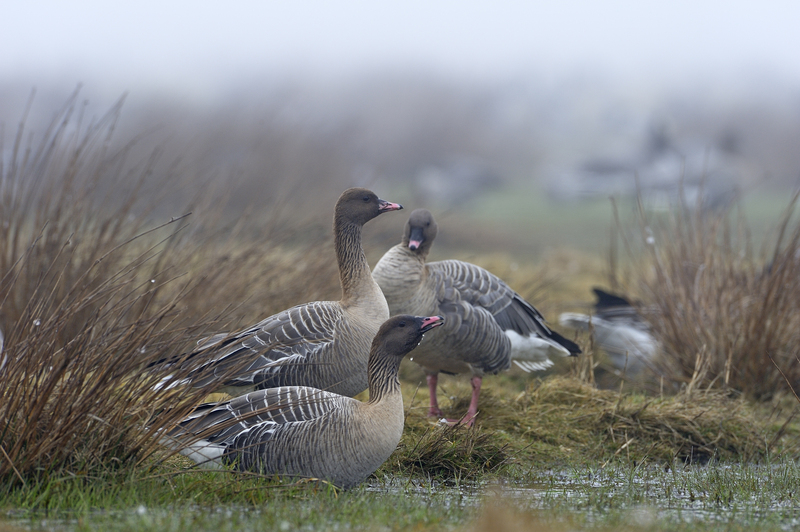 Numbers of the Svalbard-breeding population of Pink-footed Goose have increased considerably over the past decades, reaching an estimated population size of 69,000 individuals in 2010. The continued growth of the Svalbard population is a conservation success story, yet its increasing population size, along with other goose species, has progressively brought them into conflict with agricultural interests as well as having other environmental and social implications. A number of key management issues have been identified in relation to the Svalbard population but the most pressing is considered to be the potential for an escalation in agricultural conflicts. Agricultural conflicts have been registered throughout the population’s current flyway (Norway, Denmark, the Netherlands and Belgium), in particular with an increase in conflicts noted in Norway during spring, whilst in the southern range states, the conflicts caused by Pink-footed Geese are considered more stable. Furthermore, there is concern about degradation of vulnerable tundra vegetation in Svalbard due to increasing goose grazing intensities. 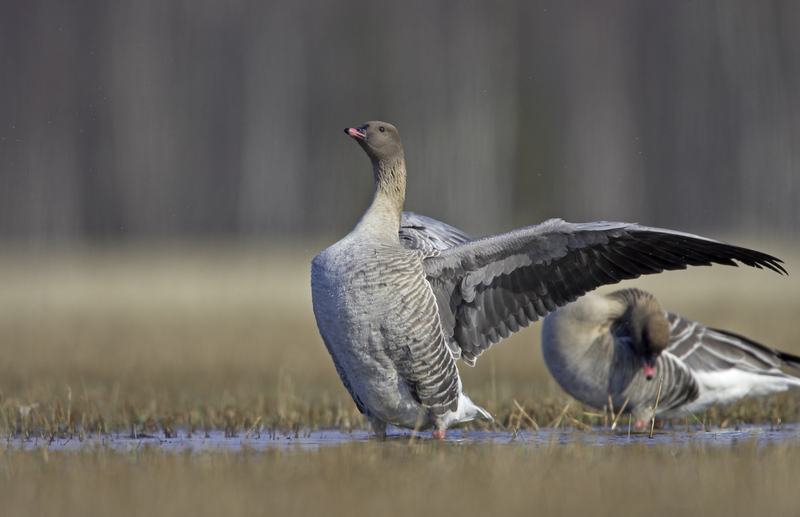 The Pink-footed Goose has been included as one of the first species to the EGMP in order to support maintaining the favourable conservation status of the Svalbard Pink-footed Goose population at flyway level while taking into account economic and recreational interests. 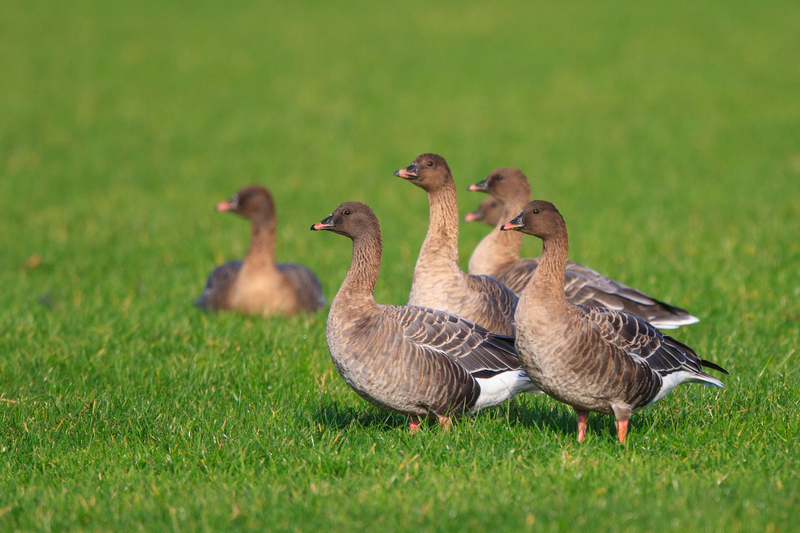 Maintain a sustainable and stable Pink-footed Goose population and its range. Keep agricultural conflicts to an acceptable level. Avoid increase in tundra vegetation degradation in the breeding range. Allow for recreational use that does not jeopardise the population.